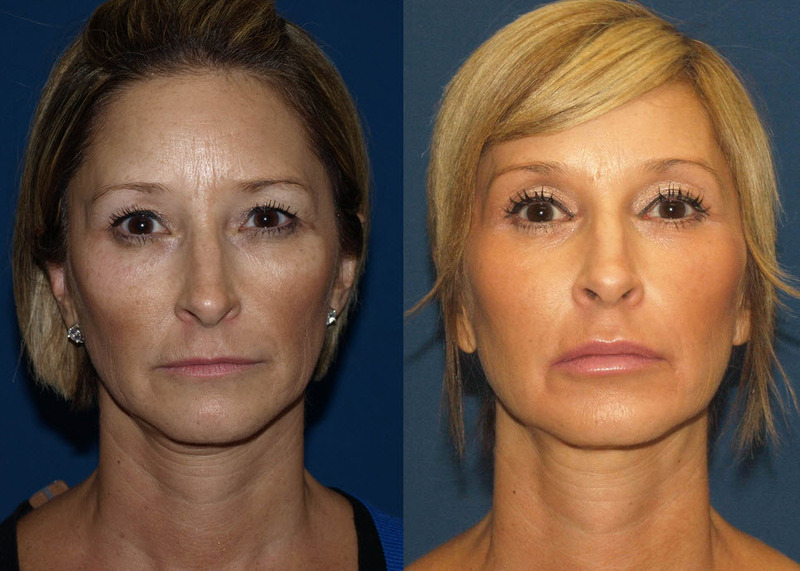 The Liquid Facelift is a term describing a non-surgical procedure to rejuvenate the face. The technique is that of injectable fillers: biosynthetic materials that when injected with a syringe under the skin act to plump the tissues and absorb moisture, giving a rounder and more youthful appearance. As more and more fillers entered the cosmetic market, the liquid facelift has become more and more of an art form. This is because it takes an expert injector to choose the best filler or combination of fillers to address specific concerns, and that is not all. The injector must also determine the precise places on the face to place the material, and the correct amount (number of syringes) to use. For example, an overly robust filler placed under the eyelid in too large a quantity can lead to puffy eyes that look much worse than before injection. While any doctor, PA, or nurse can inject fillers into a patient’s face, a facial plastic surgeon is uniquely qualified to perform and teach others this procedure. Facial plastic surgeons who perform surgical facelifts understand the significance and limitations of loose skin and fatty tissue. No amount of injectable filler can fully compensate for prominent jowls or turkey necks, which are best corrected with surgery. Non surgeons may be tempted to over-inject filler in these situations, risking a less than natural result. An appreciation of surgical facial anatomy is also integral to proper injection. 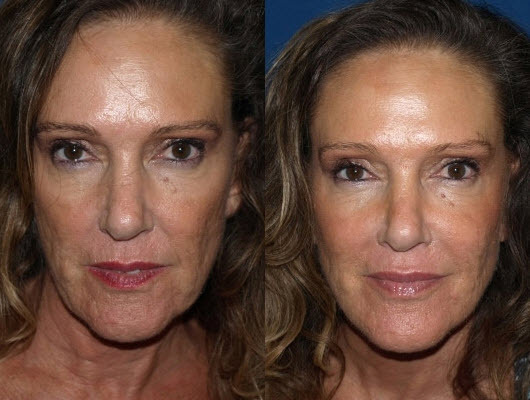 Facial Plastic Surgeons have long appreciated the role of the midface in facial aging. As the midface or cheek area droops, it brings down with it the nasolabial folds (smile lines) and also the jowls. Repositioning or supporting the cheek pad can have a profound effect on the face, in effect turning back the clock. Ignoring or not addressing the midface, on the other hand, will limit the results of filler injection elsewhere and may lead to an unnatural appearance. Today special fillers exist that are designed specifically for lifting the midface, such as Voluma. The tear trough or nasojugal crease is another area that is important to consider when planning a liquid facelift. This is an area between the lower eyelids and the cheek pad that can become hollow and dark, significantly aging the face. Meticulous injection of fine fillers such as Restylane or Belotero can correct the tear trough, effectively erasing eye bags and shadow areas that otherwise would be prominent. This technique is often called a Liquid Eyelift. Thin skin and prominent blood vessels make this an advanced area to treat. Nasolabial folds or smile lines descend from the sides of our nostrils to the corner of our mouth, and deepen with age. Lifting the midface with fillers such as Voluma, Perlane, or Radiesse may help to lift these folds, while direct injection of fillers such as Juvederm or Perlane can smoothen them. Artefill or Bellafill is a permanent filler that is sometimes used in the smile lines. The smile lines are an example of how tissue laxity and the loss of bone and fat as we age can both contribute to lines. The prejowl sulcus is an area between the chin and the jowl area. Loss of fat and bone density in this area is what creates the “sulcus” or space that needs to be filled. Left alone, a deepening prejowl sulcus will bring down with it the corner of the mouth, leading to a sad “marionette” look. Fillers such as Voluma, Perlane, and Radiesse do well in this area. The angle of the mandible, or jawline below the earlobe, can become less distinct as we age, eventually blending with the neck. This loss of definition ages the face but can be corrected with a limited injection of filler. A strong jawline will likewise improve the appearance of the neck and jowl region. Hyaluronic acid fillers such as Voluma work well in this region. The preauricular and submalar regions are the areas just in front of the ear and extending below the cheeks. These areas tend to hollow and sink in as we age, which makes accentuates the jowl area and can give a skeletal appearance in some patients. Injectable fillers such as Sculptra work well to create a diffuse fullness and synthesize new collagen. These areas are often neglected by less experienced injectors. Hollow temples usually appear in our forties and deepen over time. While many patients, especially women, are able to hide this area with long bangs, hollowness in the temples is a clear sign of aging that should be addressed. As the temples lose volume, the brows lose support and begin to sag over the outer corner of the eye, creating a sad look. Fillers such as Voluma and Sculptra can provide long-lasting fullness and support for the temples. Finally, the lips- one of the first areas ever to be injected with filler, merit consideration. Thin lips lack a distinct vermillion border-the line between the red and white lip. As this area deflates, the lips flatten and wrinkles extend upward from the red lip to the white lip. Belotero is a delicate filler that works well to redefine the vermillion border and create natural, youthful lips. Juvederm can create soft pouty lips. 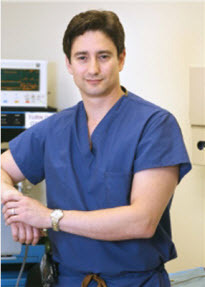 Dr. Roy David is board certified Facial Plastic Surgeon in San Diego, California and is medical director of the Aesthetic Center of La Jolla Medical Spa.